Sustainable tours are becoming more and more popular around the world. The tours concentrate on cultural heritage and conservation. Tour operators are now becoming certified in sustainable tourism that takes the visitor up close, but does not harm the environment or local people. Imagine riding elephants in Thailand, rafting through the rainforest in Costa Rica or staying amongst the indigenous in Ecuador. Today tour operators are pushing those types of activities to travelers that are in search of a truly authentic experience. 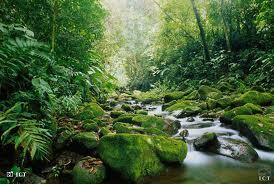 Often times the tour operators, use words like sustainable or eco-friendly. Knowing which operators are responsible and which are exploitive is difficult but not impossible to learn. Tourism remains a very vital income source for a great number of developing countries, but it can also result in deforestation, cultural exploitation, inefficient energy uses and pollution. The best tourism businesses that are truly sustainable recycle, conserve energy and water and use only goods that are produced locally. They also hire people who live in the area, preserve the cultural heritage and support a number of community projects. Operators should be certified or come with recommendations from reputable organizations if you want to enjoy a truly sustainable vacation. Some of the organizations that can recommend sustainable tour operators are Sustainable Travel International or Rainforest Alliance. Price alone should not be a reason to choose a sustainable tour operator. Companies whose focus is to support the preservation of cultural heritage, environmental conservations and economic development locally, have much higher costs than the operators who do not support sustainable activities. Walk softly, take with you everything you brought and leave things, as they were when you came. Raymond James & Associates Grows Position in Maui Land & Pineapple Co.